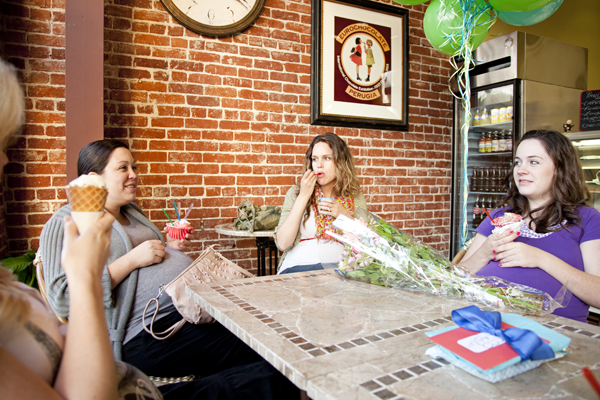 My friend Steph and I threw a little gelato party for Rachelle's baby number 2 (who is already here and is named Ethan and has the most awesome head of hair EVER). 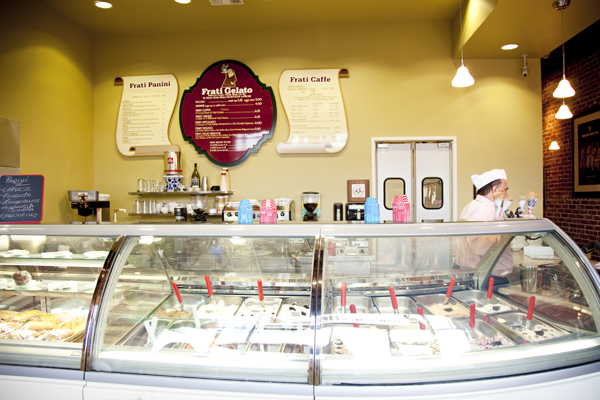 It was at this darling little gelato place in downtown Fullerton called Frati Gelato Cafe where the gelato-maker wore a white hat and pinstriped shirt and the regulars sat close to the counter and made suggestions as to what was tastiest on the menu. Places like this are my fave. I had snicker-doodle/fresh strawberry and have been dreaming about it in my sleep ever since.... and this was in May or something. Count 'em up! Four baby bumps.... and now all those babies are in cribs and strollers and those little bouncer things. Um, it was delish and that's all. Mmmm, Yum! I wish I had that gelato to eat! "Baby bumps" are the cutest. I can't wait till I have one! Also, I think you are adorable! Your blog posts are always so cute. Can I just say I love having you as a friend! :) Thanks again for the awesome party and for taking some super cute pictures! I think we should go again...soon! 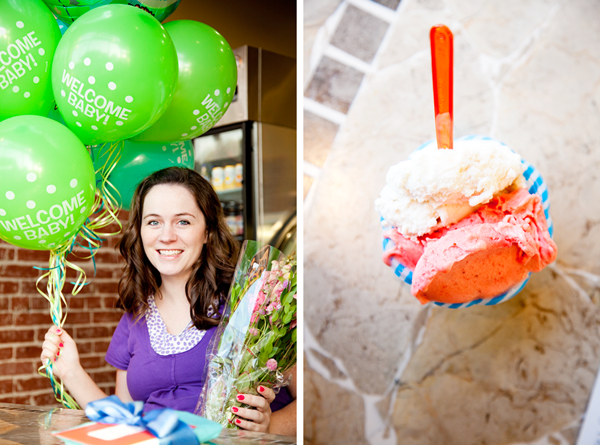 oh how i love gelato... this place looks AMAZING! 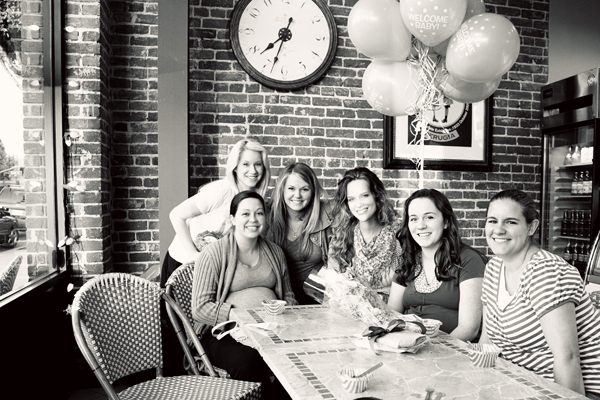 Wish I could've made it to the shower for Rachelle! I've been to that Gelato place though, it is AMAZING! I may just want to take you up on the mentor thing. :) I really need to get better at using our camera. Neal is the one that knows his stuff and I want to learn! Email me details could you?